Ralph Breaks the Internet (2018) is an animated sequel to Wreck-It Ralph released by Walt Disney Animation Studios. Directed by Rich Moore and Phil Johnstone (the team behind Zootopia), this film takes place six years after the original. Things seem to be normal in the arcade, when an incident causes Vanellope's game to potentially get shut down. In order to cheer her up, Ralph takes Vanellope to the Internet to see if they can fix her game, but Vanellope discovers something whilst there that will change her life. I absolutely adored the first Wreck-It Ralph movie, so much so that it is probably my favourite of the modern Disney movies. They got a perfect balance of telling a narrative story alongside all the fun easter eggs and references that they could possibly throw in. None of the characters got annoying or fake, and it was refreshing to see a different type of movie from Disney. However, as much as everyone else loved the trailers for Ralph Breaks the Internet, I was a bit hesitant. I was concerned that this film would turn into reference galore and promoting their other franchises, particularly the Disney Princesses. Yes, that marketing strategy was genius to draw a bigger audience in, but I didn't want this to become the Disney Princess movie. I wanted an actual story for Ralph and Vanellope. I am glad to report that the film truly presents itself as a full narrative story, with everything having a point to it. Ralph and Vanellope are as lovable as they were beforehand, and part of that is down to the brilliant voice acting done by John C. Reilly (Ralph) and Sarah Silverman (Vanellope). Alongside that, we have a stellar cast of new characters, all of which are greatly written with loads of personality. My personal favourite of the new characters has to be KnowsMore. Everyone is going to be asking about the Princesses, and rightfully so. I was worried that the Disney section would be misplaced in the story, but there is actually a nice way they used the section and it didn't drag on for longer than it needed. A lot of the Princess and Disney related stuff is in the trailers, but there are some small jokes and one particular scene that is not shown at all in the trailer and it works well. 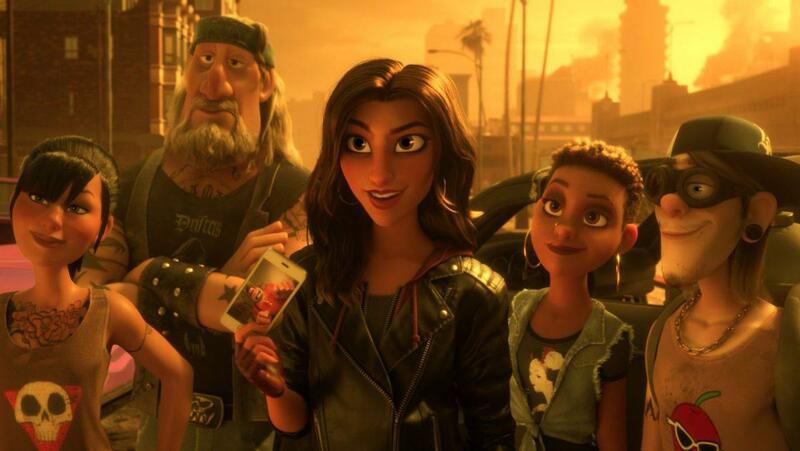 We all know going into a film like this that it is going to be good purely based on the fact that it is a Walt Disney Animation Studios production. The animation is top notch as always, there's characters and aspects for everyone, and now this film franchise comes with its own Princess song. Children are absolutely going to fall in love with this film, just as with do with every Disney film. This isn't a film like The Emoji Movie, which will make the parents want to drag their kid out of the cinema. There are bits of nostalgia, jokes and a touching story that will also make them enjoy the film. There are certain aspects of the film that perhaps someone like us, regular Internet users, will find annoying. Quite a few of the punchlines or jokes have the be explained, purely so young children can understand the joke. This doesn't get too annoying, and usually the jokes land regardless so we can forgive the explanation. It also presents the Internet in a very friendly manner, yet shows the dark sides of reading rude and hurtful comments and the idea of the dark web. I just hope that no kid goes home and searches for the dark web, because they may get a shock. My one major complaint about the film, and I wouldn't even say it is a complaint, is that we get little time at the arcade. Once Ralph and Vanellope go to the Internet, we don't see any of the actions in the arcade until the end of the film. It would have been nice to see how the characters coped without Ralph and Vanellope, even if it was seeing the Wreck-It Ralph game without Ralph there. The stuff we do see in the Internet keeps up engaged though, and with Slaughter Race we still get an aspect of the gaming influences in the overall franchise. At approximately 100 minutes, this is a perfect length of time for this film. It isn't too long, as to drag out the story and make children bored, but it doesn't rush anything. Every aspect of the film is necessary to get the maximum output for the film, and it a well scripted film with heart and emotion. Disney have actually created a good sequel, and seeing what the directors did with this franchise, I would not be shocked to see them work on Zootopia 2 sometime soon. This is a film for the entire family. Whilst your kids fall in love with the Princesses and fun story, the adults can enjoy the presentation of the Internet and laugh at the jokes your kids will not understand. The cast and crew certainly had a lot of fun with this film and you can tell. I am glad that the sequel is a great follow up to the original, and whilst it may not be as good as the original film, it certainly is as entertaining and fun. 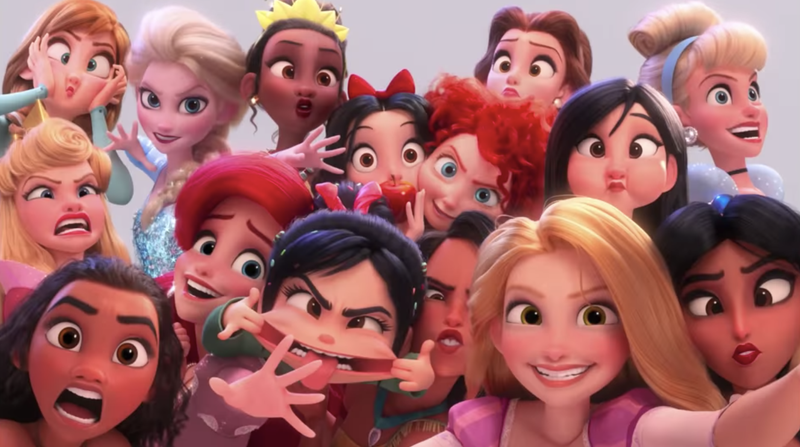 Have you seen Ralph Breaks the Internet yet? What did you think of it, or are you going to go out and see it? Let me know in the comments below.